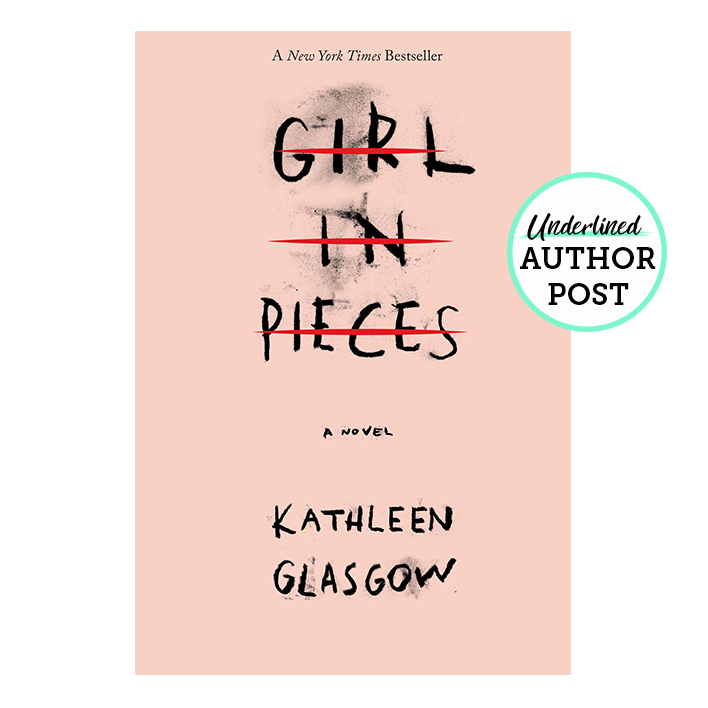 Girl in Pieces by Kathleen Glasgow is one of those books that stays with you long after you read it, and we are thrilled that this powerful novel was chosen as Target’s Club Pick for April! 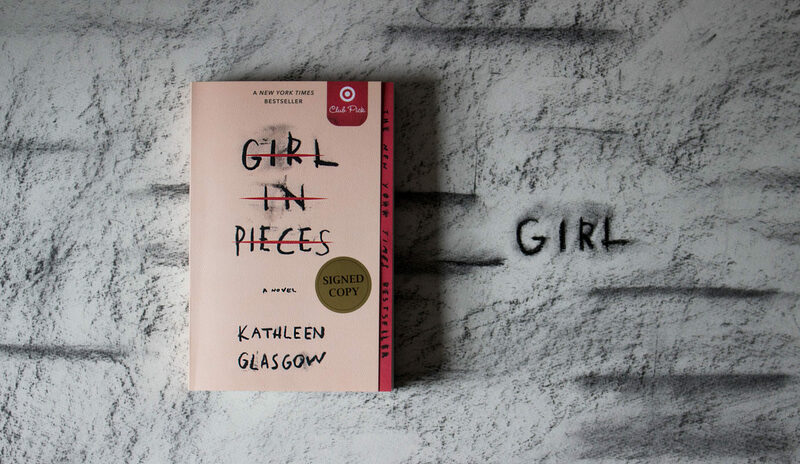 In this guest post, author Kathleen Glasgow tells us about the power of art (in any form) and why it’s a key part of the story of Girl in Pieces. I grew up surrounded by art. Our walls were adorned with paintings. Abstract busts teetered on pedestals in the downstairs hallway; we weren’t allowed to run in the house. If you did, my mother’s nervous dog would bite your heels. The shelves in our den were filled with art books that seemed to weigh a thousand pounds each. 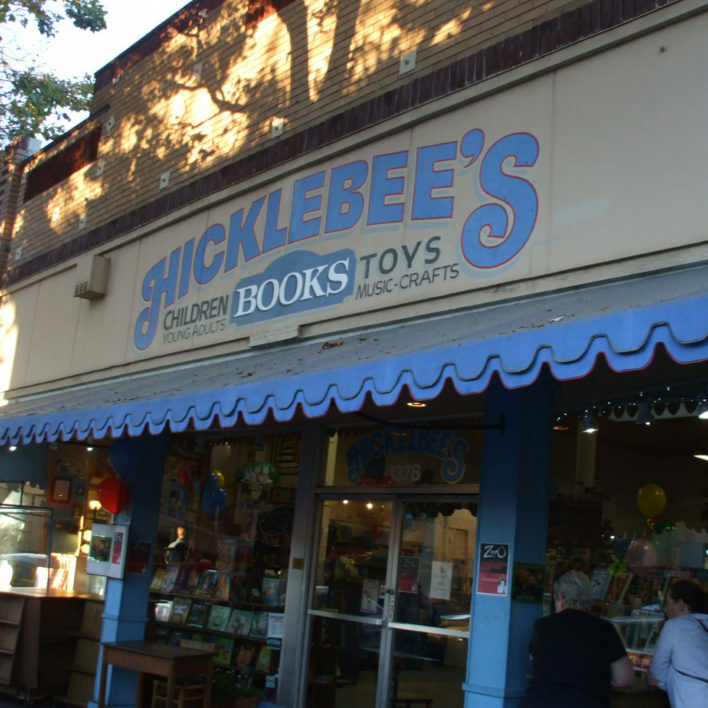 I loved those books. Those books are why Charlie, the main character in Girl in Pieces, goes to the library in downtown Tucson to spend hours paging through art history books. Looking through those books, for me, meant possibility. It meant that an experience, an emotion, could be relayed through color, line, smudge, dash, shadow. What you felt in one moment could live forever, if you just put it on paper or canvas. What you felt in one moment could live forever, if you just put it on paper or canvas. I wanted Charlie to know that what she was unable to say could be expressed in other ways. Those are the sorts of comments that take art away from us, but it’s the most fundamental means of expressing yourself. “I can’t do that” and “I’m no good at that” creep in around age nine, and you stop. Some keep going, for sure. They become “artsy” kids, and that’s fine. The rest of us just yearn. I turned from art-art to writing, and it saved me when all around me was black water. I spent whole nights typing furiously on an IBM Selectric in full-blown panic-attack mode, thinking I was having a heart attack. I think I must have typed hundreds of pages to pass the time until I knew I was not having a heart attack. Art can be a weird medicine, too. It can take you from frenzy to fine, if you just give it time. It can take you from frenzy to fine, if you just give it time. I “read” art instead of practicing it, lusting after the Hernandez Brothers’ Love and Rockets and the heartbreaking story of Maggie and Hopey, and I wished I could draw like that. And that, you guys, is how Charlie came to love comic books. Because I wanted to draw comics, once upon a time. And the great thing about writing is that you can make stuff up: I can’t draw, but my character can, and that way, I get to have my art and eat it, too. But . . . the young adult novel world is a curious place of swag. Buttons. Bookmarks. Tote bags! It seemed important to have something to offer your readers besides just your book. I wasn’t sure the story of self-harm would translate onto a tote bag, but I did think maybe I could do character cards. Those seemed good! What a good idea, because Charlie is an artist and I could do those and . . .
Oh, wait. I can’t draw a lick. However, I was living in close proximity to a person who’d spent his formative years devouring comics like Cerebus by Dave Sim, a deeply weird series about an aardvark, and who had morphed into a bona-fide, studio-having, paint-mixing, clog-wearing, anti–art establishment, canvas-burning, long-bearded person. So, of course, I figured he’d have no problem pretending to be a deeply sad seventeen-year-old female artist who loves comics and is teaching herself by looking through art books at the public library. Surprisingly, he didn’t. And with a little of my encouragement (“Listen, they can’t be perfect, they should be messy, not THAT messy, wait, Ellis’s hair is wrong. 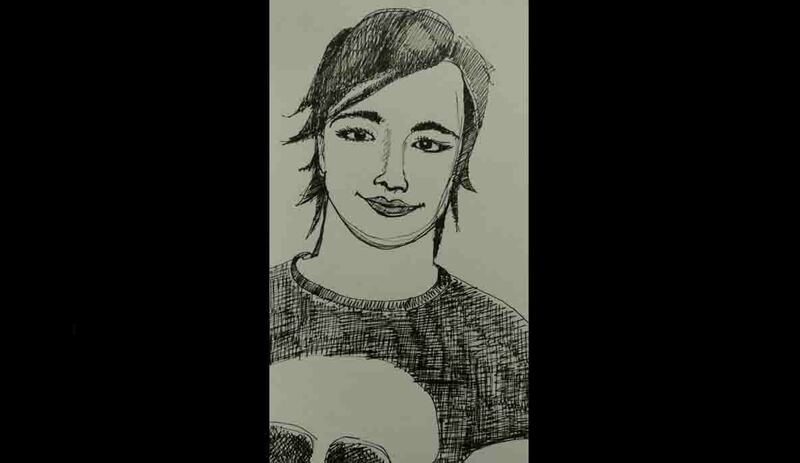 No, Ellis would wear a shirt like this, and yes, I know I describe Ellis differently in the book, but this is how Charlie sees her”), he produced some portraits of Ellis and Evan and later, a self-portrait of Charlie. Sometimes it takes a village to make a piece of art. Sometimes it takes a teetering bust on a pedestal that leads to an IBM Selectric that leads to two punk rock girls in a comic that leads to a sad seventeen-year-old girl trying to find words to tell everyone how much she hurts. You have art in you. Don’t let anyone ever say you don’t. 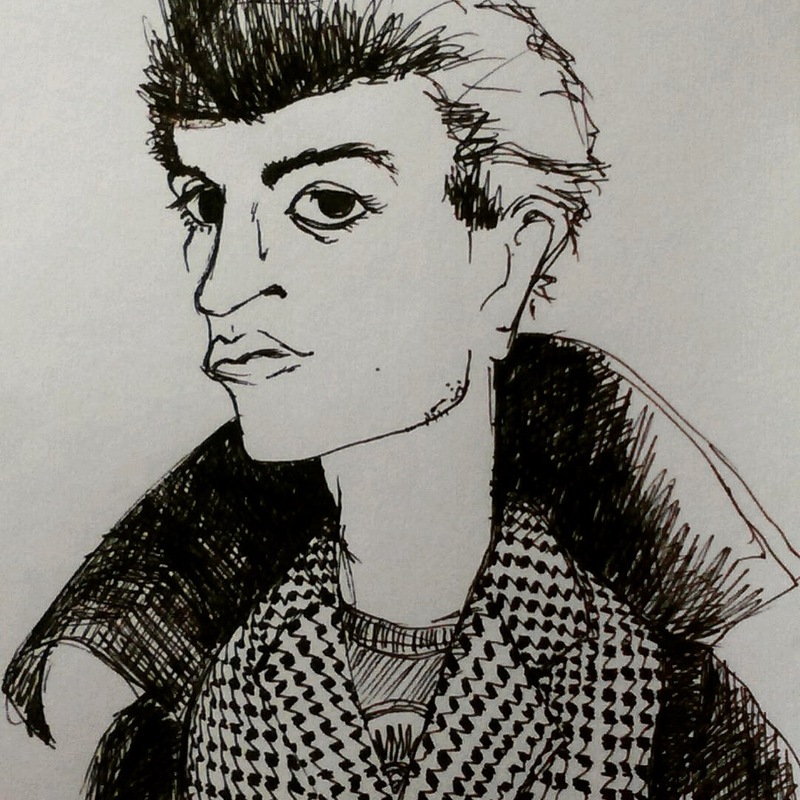 Don’t let anyone tell you your drawing or poem is “bad,” because if you stop? You’ll miss the next person who might have said “I love that” and burst into tears or happy laughter. You know? And if music is your thing? Sure, wrong notes can make the hair on the back of a listener’s neck stand up, but I’ll just call you “experimental,” so make noise! They got their art back. Don’t let yours be stolen. P.S. 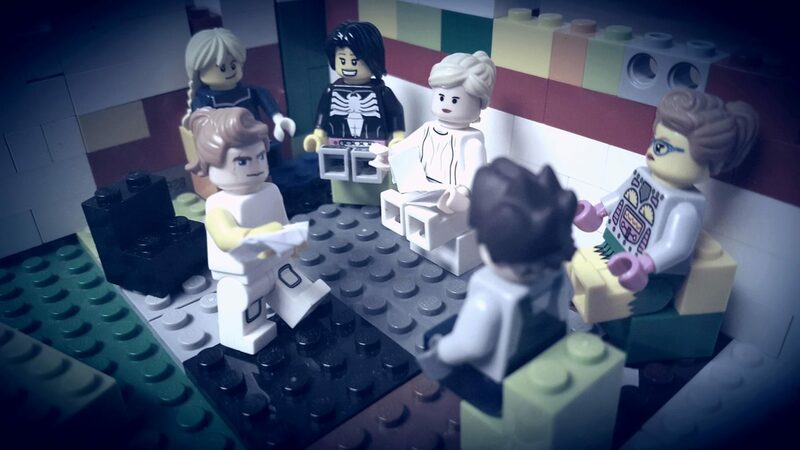 I can’t draw a lick, but I did make scenes from the book out of Legos. That was all ME. 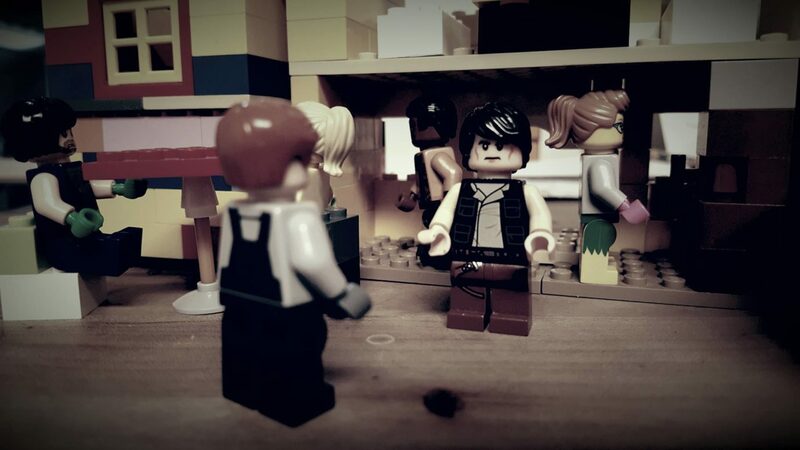 Art comes in many, many forms, and I have found my calling in Legos. NO SHAME. P.P.S. I paid the artist for the character cards. Artists gotta eat, you know. Pay your creatives! What is your favorite type of art? Tell us in the comments below!